Welcome to the December edition of Out in OZ, your monthly news from Gay and Lesbian Tourism Australia, brought to you this month by Out Travel. As the year quickly comes to an end with the festive season almost upon us, it has been a busy few weeks for the GALTA Team attending events in Perth, Shepparton and Adelaide. GALTA will once again be participating at the Midsumma Carnival at Birrarung Marr on the banks of Melbourne’s Yarra River on Sunday 13 January. Last year, more 100,000 people frolicked in the sun enjoying the variety of stallholders, whilst being entertained by a cavalcade of Melbourne’s much loved performers. Look out for the GALTA Stand, drop in and say hello and pick up one of our pink show bags full of tourism information from our wonderful Members. In this edition we look at the latest refurbishment of Long Island Resort, we take a peak at what Points of Difference Events have planned for Celebration NYE 2013 at Sydney’s MCA, and announce Gay Globe’s Cruise to New Caledonia in April 2013. We also feature Gay Homestays Australia and announce the latest newsletter subscriber prize winner courtesy of Peninsula Boutique Hotel in Port Douglas. Read on for more information and remember to follow us on Facebook for the latest travel news, deals and developments. On behalf of the GALTA Team we thank you for your support throughout 2012 and wish you a safe and happy Christmas and a fun New Year. Midsumma, Melbourne’s annual festival of queer arts and culture will mark another milestone in 2013 with an exciting program in celebration of the milestone and the past, present and future of the city’s vibrant and diverse GLBTI community. 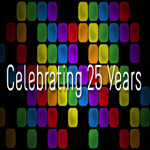 The 25th Midsumma Festival will run from Sunday 13 January to Sunday 3 February 2013 with a range of performance, visual arts, spoken word, sporting, community and social events that will make-up the festival, which has become a highlight of Victoria’s Summer cultural landscape. Carnival Australia has partnered with GAY GLOBE to organize a Gay Group Cruise on Carnival Spirit departing Sydney on Tuesday 2 April 2013. The 9 night cruise visits magnificent New Caledonia and includes full day visits to Isle of Pines, Lifou Island, Mare and Noumea. This Pacific destination is made for an unforgettable cruise ship holiday experience. Long Island Resort has a fresh, new look and a special to celebrate. The property leads the affordable 3.5 star market in the Whitsundays with a choice of resort accommodation on a tropical island. Long Island Resort had undergone a facelift including a total refurbishment of the bathrooms in all the Beachfront rooms. 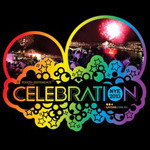 Come out in style and celebrate NYE 2013 smack-bang in the middle of all the fireworks action on Sydney Harbour! This year marks the fourth annual return of this sparkling Gay and Lesbian fireworks event to the Museum of Contemporary Art. It’s spacious, glamorous, stylish and maintained to a standard that every gay man and woman would expect. Gay Homestays global accommodation network is redefining gay travel offering safe and affordable short-term accommodation in Barcelona, Rome, Sydney, Paris, Rio and many other amazing gay travel destinations. Visit: www.gayhomestays.com.au for more details. Following our recent attendance at Feast Festival’s Picnic in the Park in Adelaide, one lucky subscriber to the OUT in Oz Newsletter had the opportunity to win a fabulous prize courtesy of the Peninsula Boutique Hotel in Port Douglas. Four Mile Beach in a luxury Ocean View Suite. 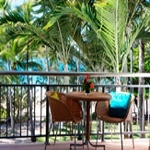 For more information about the Peninsula Boutique Hotel, visit: www.peninsulahotel.com.au for details.